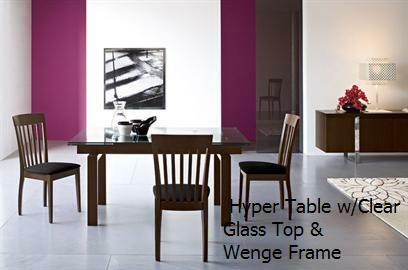 Hyper Expandable Dining Table features a glass top and two side extensions that fold down when not in use. The glass top and extensions are supported by a thick wooden frame. This modern European-designed dining table expands from 63" to a full 94.5" in length. 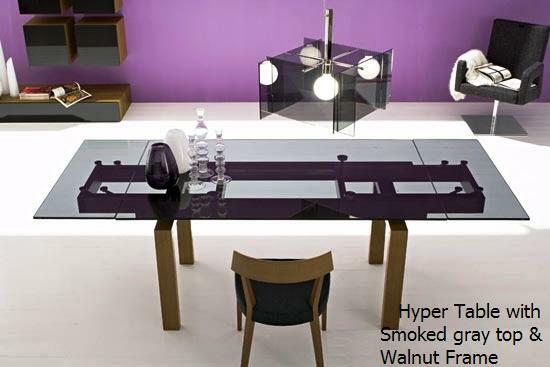 The truly beautiful Calligaris Hyper Dining Table available in variety of frames and tops. Made in Italy.